The Ibero-American Arbitration Center (“CIAR”, Centro Iberoamericano de Arbitraje in Spanish) was set up on 19 of March of the current year. The center has been established with views to offering an alternative dispute resolution forum to small and medium sized enterprises with cross-border operations. In this regard, 63 institutions representing 22 Ibero-American countries including Spain, Portugal and Andorra have signed its deed of constitution and bylaws, setting Madrid as the seat of the General Secretariat. The growing strength of Latin American economies, their international expansion and the increasingly positive approach towards commercial international arbitration in the area suggests that this new center might become a relevant player. Keeping an eye on its evolution may thus be of interest. Our brief post will analyze (1) the scope and approach of the new center, (2) an overview the Latin American market for arbitral institutions and (3) lessons learnt from past experiences. The constitution of CIAR was agreed upon by the countries that attended the Ibero-American Conference (Conferencia Iberoamericana) held in Veracruz in 2014. This agreement stems from the approval in Brasilia in 2012 of a Framework Agreement for the creation of an Ibero-American International Arbitration Center by the SEGIB (General Ibero-American Secretariat). 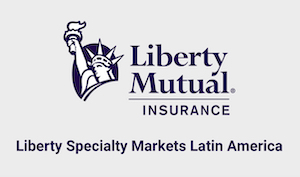 It was then when different practitioners realized the need of a specialized and cost effective commercial institution for the Ibero-American market. CIAR’s purpose is to serve as an Ibero-American institution for small and medium sized enterprises acting in the international arena, offering a high-quality service, with a special focus in ensuring cost and time effectiveness. Interestingly, a specific policy to limit the time to render an award to six months will be enforced. Besides, the proceedings will have an online platform in order to promote efficiency. CIAR’s official languages will be Spanish and Portuguese and its partners are solely Ibero-American countries. The center has three seats: Costa Rica for the Chair, Madrid for the General Secretariat and Sao Paulo for the Supervisory Board. More specifically, the Sao Paulo seat will be in charge of arbitrators’ training and establishing the arbitrators’ lists. These lists will be made up of those arbitrators forming part of the pool of arbitrators included in CIAR’s supporting institutions’ own lists. Luis Martí Mingarro, President of the Ibero-American Union Bar Association and former Dean of the Madrid Bar Association, has been appointed as Chairman of the CIAR with renowned arbitrator Rodrigo Oreamuno acting as Vice-president. According to Mr. Martí, the center’s aim is to broaden arbitration to all its potential users with a distinct aim of providing simplicity and rapidity. Likewise, he calls for availability and flexibility as the center’s core values. The era of Latin American arbitral institutions has arrived. According to the ITA Survey of Latin American Arbitral Institutions released in 2011, at the time there were 165 institutions administering arbitrations and even now there might be more players in the field. The crucial question however is whether any relevant caseload is being managed. Speaking in raw numbers, despite the existence of limited data, the ICC caseload involving Latin American parties maintains a leading role. In 2012 from the 451 cases administered by the America’s division, which includes North America and Latin America, 292 cases involved Latin American parties (64,7%). In 2013, 279 cases involved Latin American parties (57,76% of the America’s caseload). 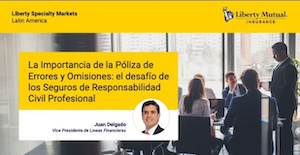 Likewise, there are examples of other successful national institutions such as the Lima Chamber of Commerce’s Center for Domestic and International Conciliation and Arbitration which administered 280 cases in 2013. Similarly, the Arbitration and Mediation Center of the Santiago Chamber of Commerce has registered more than 300 cases during the last two years. At the time of publishing we have been unable to obtain information from caseload at the Commercial Arbitration and Mediation Center for the Americas (CAMCA), another arbitral institution with a similar flavor to CIAR. CAMCA was founded in 1995 by the American Arbitration Association, the British Columbia International Commercial Arbitration Centre, the Mexico City National Chamber of Commerce and the Quebec National and International Commercial Arbitration Centre, with views to provide a forum for dispute settlement under the North-American Free Trade Agreement (NAFTA). Other regional institutions, from which updated statistics have not been obtained, presented in 2011 caseloads varying between 5 and 10 proceedings . The fact is that many Latin American countries have passed arbitration-friendly legislation, in accordance with the UNCITRAL Model Law, benefiting the growth of arbitral institutions. Similarly, all of the Latin American States (with minor exceptions like Guyana and Suriname) have ratified the New York Convention and the Panama Convention. Some states remain reluctant towards international arbitration , but the general trend seems to favor international arbitration against foregone protectionisms. It is not always easy to spot trends but, as stated during the X International Conference held by the Spanish Arbitration Club, Latin American economies such as Mexico may be key players during the next decade. Arbitral institutions and practitioners should remain on the lookout. Up to date, CIAR has no published arbitration rules, schedule of fees or accessible website. Indeed, they are expected to go live by the end of the year. There are still many hurdles to overcome if this institution is to attain enhanced relevancy. At this stage, it could be interesting to seek inspiration from the experience of SIAC who have created a truly international arbitration center. Indeed, in less than a decade, SIAC has increased its caseload by more than 200%, rising to an average of some 250 cases filed annually over the last years. In recent years SIAC has gained relevance administering both investor-state treaty arbitration and commercial arbitrations. This has only been possible with a high quality and professional secretariat and high-profile representation. Likewise, by creating an arbitration friendly legislation and courts offering a maximum judicial support, Singapore has gone all-in in the race to becoming a world-class arbitral seat. Before such strong competition, CIAR will have to benefit from lessons learnt and offer a high quality service if it wants a part of the pie. Indeed, arbitral institutions with sophisticated secretariats, with highly qualified and experienced teams show the way forward. The examples are out there (ICC, SCC, SIAC, LCIA, HKIAC, CIETAC and, in our regional forum, the Madrid Court of Arbitration . Only time will let us know how this new center ends. Fostering confidence is challenging, therefore we wish them good luck. In the meantime, as arbitration consumers we highly welcome these initiatives that ultimately benefit choice and party autonomy. According to the ITA Survey of Latin American Arbitral Institutions, amongst others, the Inter American Commercial Arbitration Commission, the Brazilian-American Chamber of Commerce, the Arbitration Center of the Peruvian-American Chamber of Commerce and the Business Center for Conciliation and Arbitration registered in 2011 between 5 and 10 cases annually. The new Ecuadorian Constitution in its Art 422 forbids the country to enter into any agreement which would require Ecuador to subject itself to an international arbitral tribunal. The Court of Arbitration of Madrid registered over 200 arbitral proceedings in 2013, with an average proceeding amount exceeding 3.000.000 euros. Carlos González-Bueno and Laura Lozano, ambos abogados con amplia experiencia en arbitraje, explican en este artículo el entorno en el que se desenvolverá el CIAR y las circunstancias que rodean su nacimiento.